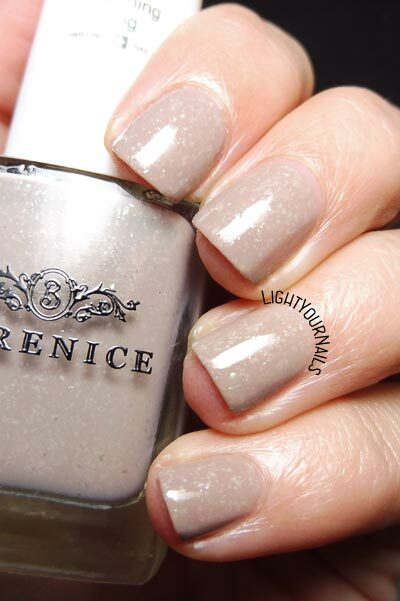 Berenice 61 Morning Fog | Light Your Nails! I love neutrals with a little something extra. Beautiful. Dici? Io penserei a un grigio chiaro leggendo il nome! I love neutrals and I love flakes so this is amazing to me! It looks like stone. I knew there must have been someone loving this kind of polish! Thanks!